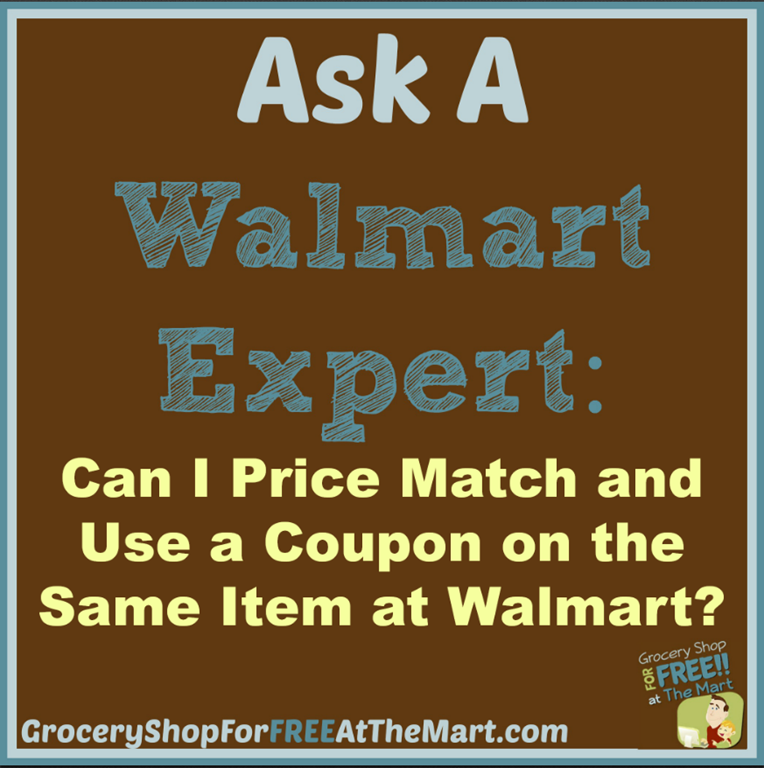 Ask a Walmart Expert: Can I Price Match and Use a Coupon on the Same item at Walmart? 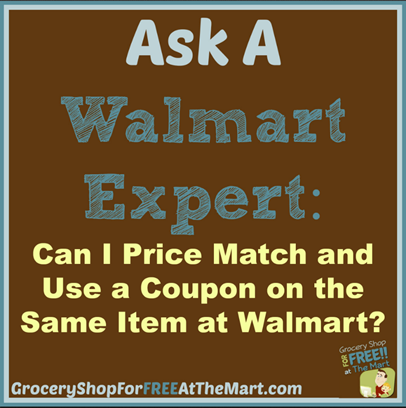 Can I Price Match and Use a Coupon on the Same item at Walmart? This is one of the main reasons I love shopping at Walmart. If anyone in my area has something on sale, Walmart will match that price and then allow me to use a coupon on top of it. That means that you can really save a ton of money every week. It doesn’t end there either. You can use apps like Ibotta, Checkout 51 and Shopmium (use referral code GMKACYRC) to get rebates on a lot of the items Walmart sells. You can also use Receipt Hog to work towards a $5 Amazon giftcard. You can see a full list of all the different ways to save money at Walmart here. Here’s a few other articles you might like. Will Walmart Accept Other Store’s Coupons? From how many miles away will Walmart price match a store?